In 2013 I stumbled upon the BBC drama "Monarch of the Glen" and became an instant fan. Binge viewing the show suddenly awakened within me the desire to explore my Scot heritage and ultimately the dream to make Scotland my home. Join me on my journey to become "A Glen in Scotland.". For a much broader look at Scotland. please have a listen to my podcast. 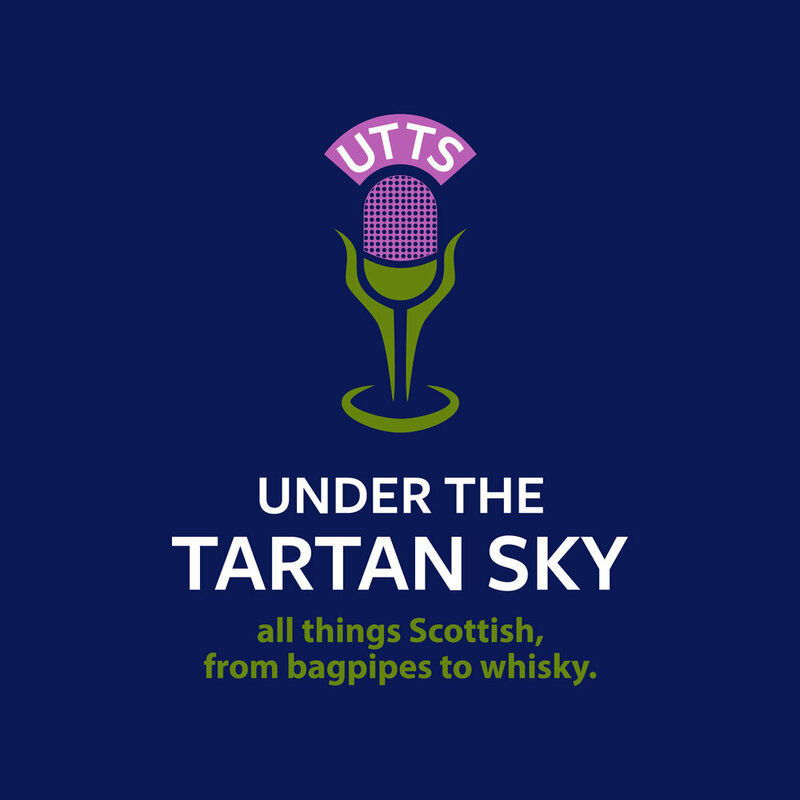 It's about "all things Scottish, from bagpipes to whisky!" Four years ago when I first embraced my Scottish heritage I adopted the personal mantra, "Texan by birth, Scot by ancestry." It is a simple statement of pride in both my native and ancestral homes. While there is no "Moyer" clan, family genealogy revealed much about my ancestry, that my 8th great-grandfather, Robert Gabriel Barnhill was born in Glasgow in 1627 for example. Another Scott ancestor, Alexander Breckenridge, believed from the Ayrshire or Lanarkshire area, established my membership as a sept of Clan Douglas. Other ancestry lines trace to the Craig family of Edinburgh and to the Preston family name. Certainly, as discussed here before, the most outward and visible expresson of one's Scot heritage is through tartan, the national dress of Scotland. 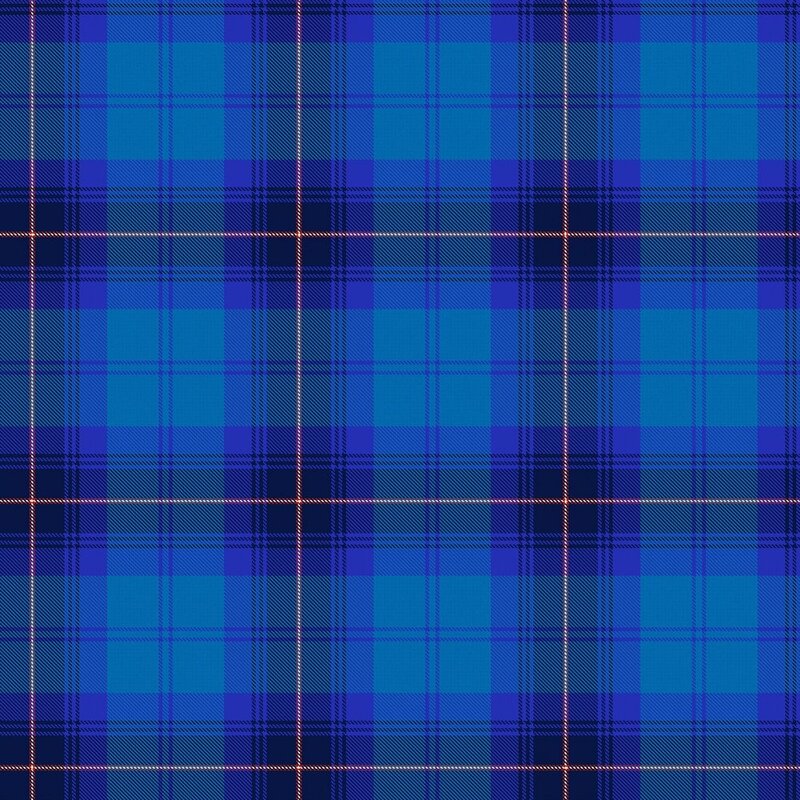 And so some weeks ago, as recorded in earlier posts on this blog, I embarked on a journey to have a personal tartan designed. My traveling companion, guide, and designer on this journey would be Clare Campbell, of Prickly Thistle, of the Black Isle in the Scottish Highlands. Initially, after much conversation and sharing of personal and family information, Clare provided six initial design concepts. (See "My Tartan Journey: The Initial Designs"). Of these six, I selected Design #4 as the one I wanted to further pursue. I was stunned! I also freely admit that if I could I'd claim all 3 designs as my tartan, I love all three! For reasons still not clear to me I dismissed the first (4.2.1), and focused on 2 and 3. For several days I wrestled with the decision. I liked elements of both but neither was "right." In 4.2.2 the now red/white/red stripe diminished the navy blue making the overall coloring too bright. In 4.2.3 the added white and now two red stripes broadened the navy blue making it too dark. In both cases the 2 red stripes were of concern as the Texas flag has only a single red stripe. Even my friends were of little help! A Facebook poll resulted in an all up tie with both 4.2.2 and 4.2.3 getting 28 votes each, until two last minute votes swung the result to 4.2.3. I was still uncertain - leaning to 4.2.2 while my entire family had voted for 4.2.3! Finally, again I'm not sure why, I was drawn to reconsider 4.2.1 and there it was! It captures the original look of Initial Design 4 that I so loved - the cobalt blue shading. It has the added single white yarn to complement the single red yarn - one red and one white stripe, just as in the Texas flag. The single white yarn also crosses itself against a blue background in the set, just as in the Saltire. The red and white parallel each other, just as in the Texas flag. "Texan by birth, Scot by ancestry." 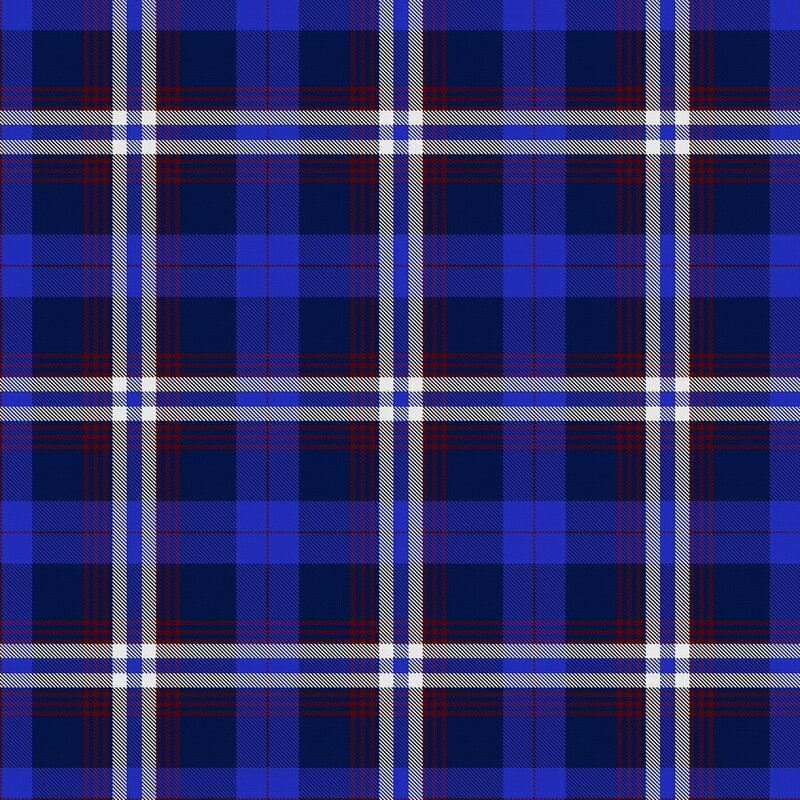 The Glen Moyer tartan was born! The Glen Moyer personal tartan - now awaiting official registration with the Scottish Register of Tartans. I've written before that part of my decision to commission Clare Campbell at Prickly Thistle to design my tartan was her belief that every tartan should tell a story, or as her website says "Your story woven into the fabric of Scotland." Beyond the influence of the Texas and Scottish flags, there are many key design elements that tell my story in the yarn coloring and thread counts that make up my tartan. The thread counts include 64 - my age at the tartan's creation, 7-symbolic of my first visit to Scotland in 2014... 2+0+1+4=7, 30 - the land mass of Scotland, all 30,000 square miles of it. There is a 4x4 repeat in the set, a nod to my late musician grandfather, William Arthur Moyer, who instilled in me a lifelong love of playing music expressed most simply in 4/4 time, and that my instrument of choice is a 4-string bass. And some colors have dual meanings, beyond my passion for Scotland and bravery in the Texas flag, red was my late Father's favorite color while white also represents the color of a natural pearl, my Mother's June birthstone, The tartan will be registered as having been created on her birthday, June 7th. I can't think of any higher tribute to my Scot ancestors than to express my pride in my heritage with a bespoke personal tartan. And I can't say thank you enough to Clare Campbell for her patience, encouragement, passion, and sharing of her amazing talent. I hope 8th great-grandfather Robert is proud.